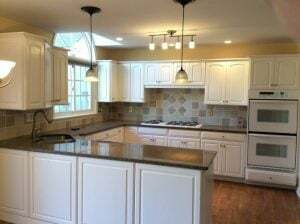 There is no doubt that a full kitchen remodel requires a significant time and budget commitment. 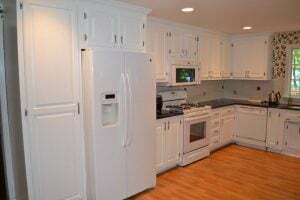 But but giving your kitchen a new job, you can improve the look of your kitchen at a fraction of the time and cost. 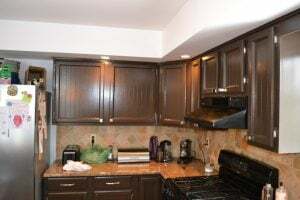 Living in northern New Jersey, many of us have older kitchens that are fully functional yet look dated. 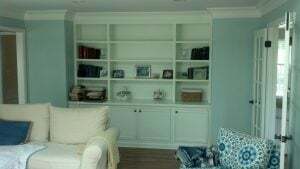 That’s why many customers have chosen to update their existing cabinetry with new paint. 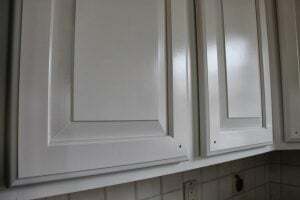 Installing new hardware will also give your cabinetry a whole fresh look. 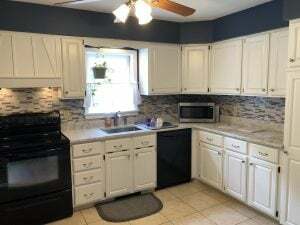 Take a look at some of the kitchen cabinet painting projects we’ve completed and then call Monk’s to talk about your kitchen painting project. 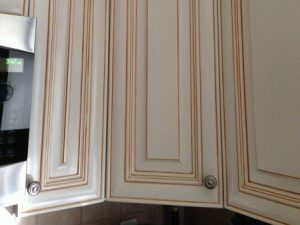 We can cup-spray your cabinets for a smooth, factory-finished look. We can spray the doors on or off site. 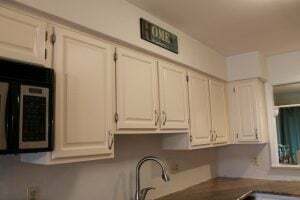 Door hardware can be purchased through our Kitchen & Bath Design Studio. 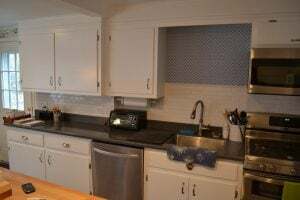 If a new backsplash or countertop is desired, Monk’s can help with both. 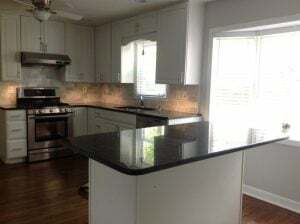 A new quartz, granite, marble or soapstone countertop can be purchased and installed through the Design Studio. 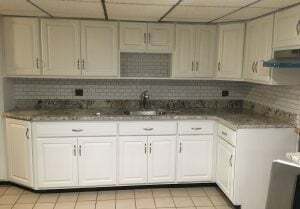 We feature a wide selection of tile for backsplashes. 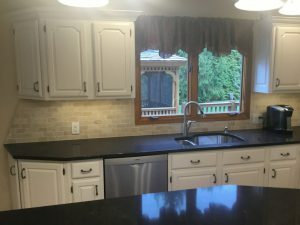 We can help you design anything from a simple subway backsplash to a more intricate design. Call Monk’s today at 973-635-7900.